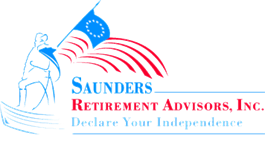 Social Security Q&A | Saunders Retirement Advisors, Inc.
Social Security is a topic on many people's minds these days, and most retirees have questions about how and when they should begin taking Social Security benefits. This article aims to answer some common questions about Social Security and educate you about the different options that may be available. When Am I Entitled to My Social Security Benefits? The Social Security Administration (SSA) allows you to start claiming your retirement benefits as early as age 62, but the benefit amount you receive will be less than your full retirement benefit amount. lf you were born between 1943 and 1954, your full retirement age is 66 and you would receive just 75 percent if you started taking benefits at age 62, 80 percent at age 63 and 93.3 percent at age 65. You don't have to claim your Social Security benefits at your full retirement age. ln fact, delaying benefits will increase your monthly benefit each year until you become eligible for the maximum benefits at age 70. Can I Continue Working and Still Claim Social Security? You can continue working and still claim retirement benefits. lf you are under your full retirement age, the SSA will deduct a portion of your benefits for every dollar that you earn above an annual limit, $17,040 in 2018, unless 2018 is the year in which you reach your full retirement age, in which case the limit is higher. lf you have reached your full retirement age, you can receive Social Security benefits with no limit on your earnings. Are There Special Considerations for Married Couples? Married couples have a number of benefit strategies available to them (although fewer than they did before the Bipartisan Budget Act of 2015 removed some of these options for those born after January 1, 1954). For many couples, maximizing survivor benefits is one of their primary considerations when evaluating when to take Social Security benefits. ln many cases, this means that the higher-earning spouse should consider delaying claiming benefits until age 70. By deferring Social Security benefits, the higher earner can help ensure that the surviving spouse receives the largest possible survivor benefit. Survivor benefits are usually worth 100 percent of what the deceased spouse was entitled to collect at the time of death, including any credits for delaying benefits. Divorced and widowed persons may also be able to use strategies to increase their benefits. We offer a free Social Security analysis to help you evaluate your options. When Should I Start Taking Social Security Benefits? This is a simple question without a simple answer since it depends on you and your personal circumstances. Some people choose to take reduced benefits early because they need the income. Others hold off so that they can collect the maximum benefit for the rest of their lives and pass on a larger survivor's benefit to their spouse. While waiting to claim benefits in order to receive a larger monthly check sounds like a better deal, it's important to think carefully about factors like your life expectancy and income needs. Some retirees with low life expectancy or cash flow problems may be better served by taking their Social Security benefits early. Just about everyone else, especially those who don't need those benefits for income early in retirement, would be better off by waiting until age 70.
lf possible, wait until your full retirement age (66 if you were born before 1955) to begin taking benefits. Doing so opens up the most options. Age 80 is the break-even point for many Americans. lf you expect to live longer than that, you may be better off delaying your benefits until age 70. lf not, then taking benefits earlier may be a better choice. lf you're part of a married couple, it makes sense to delay the higher earner's benefits in order to ensure larger survivor's benefits if you believe at least one of you will live past the age of 80.
lf you've been counting on Social Security income to begin as soon as you retire, consider some options to "bridge" your income until age 70. We can help you evaluate those options. Knowing the best time to begin taking Social Security benefits is difficult. lt's a complex decision with many important elements to consider. Once you factor in spousal benefits, survivor's benefits, and other strategies, there are more than 70,000 different scenarios under which you can take Social Security. Making the right decision can be worth thousands of dollars over the course of your retirement. It's our goal to make complex situations simple to understand and help you make informed decisions about your retirement. We are experienced at helping clients navigate Social Security and educating them about how their SociaI Security benefits fit into their overall retirement goal. lf you have any questions about the information we've presented or would like more information about your Social Security retirement benefits, please give us a call, we're always happy to help.